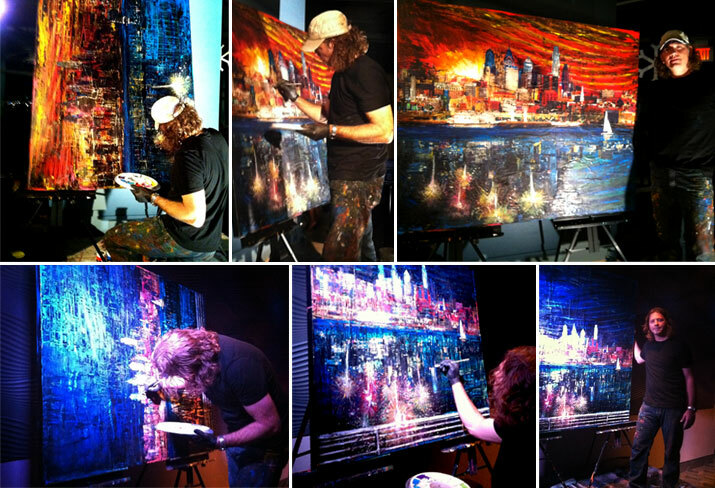 William painted live during the Adventure Aquarium New Year’s Eve Deep Sea Splash Gala Event in Camden, NJ, with over 1,200 in attendance. These commissioned paintings will be exhibited in the Currents Ballroom at the Adventure Aquarium. We were honored to partner with the leadership of the aquarium and to participate in the gala. Click PHOTO GALLERY to view photos of the event.